Saturday the Viking Men’s team made a good showing at the Mustang Invitational. 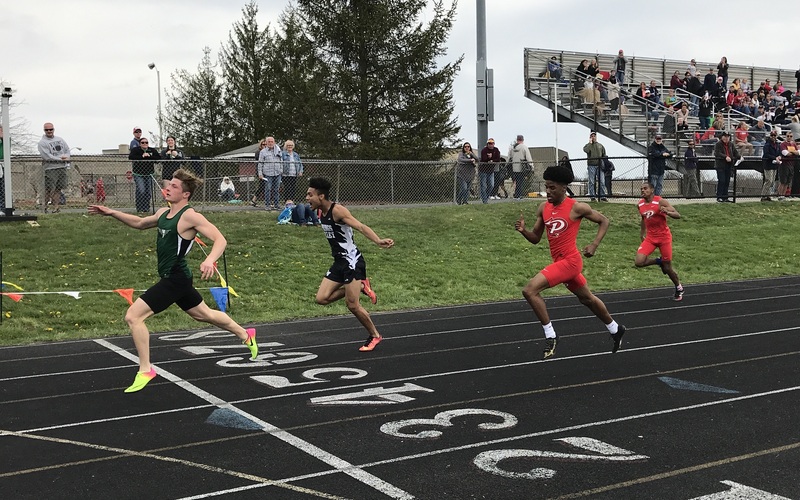 at Edgewood,…14 of the best team boasting some of the top individuals in the state were in attendance,…Ethan Roach won the 100(10.76 FAT) and the 200(22.4) ..the 3200 Relay Team of Damon Kesler, Chase Stevens, Levi Saude, and Jarrett Scott, also made the podium placing 5th. Good performances were also turned in by Luke Frey LJ(13), Chase Stevens(14) and Jarrett Scott(16) in 800, Jacob Nuttall-300 Hurdles(11), Damon Kesler-3200(11), Brandon Stroud HJ(13), Creed Fritz-PV(9), Ethan Burgess- Discus(16), Jordan Favre -100 Hurdles(10), and the 400 relay team of Zander Wilbur, Jordan Favre, Caleb Davis, and Brandon Stroud just missed the podium in 9th.